"The centre of Tunstall has no more than one really urban street." Christ Church. 1830-1. By F. Bedford, Another big Commissioners' church (cost £3,146) outside the town centre proper, w tower with pinnacles and spire; embraced. Nave of three wide bays with pairs of lancet windows. 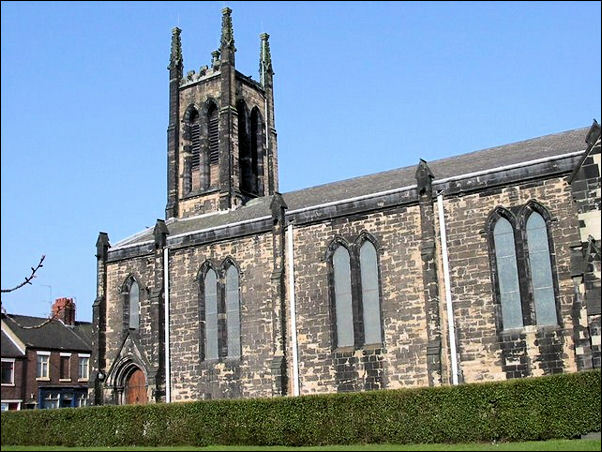 The transepts and chancel are of 1885-6 by A. R. Wood. Sacred Heart (R.C. ), Queen's Avenue. 1925-30 by J. S. Brocklesby, completed by Father P. J. Ryan. Large and eager to impress. 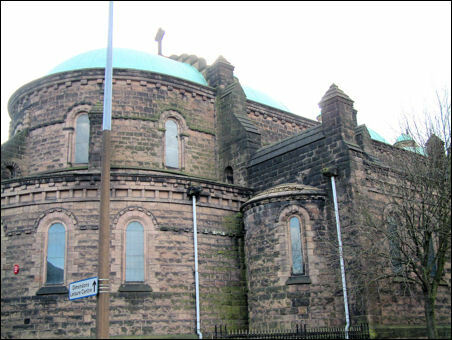 Romanesque, with three low domes and an apse. The aisles separated from the domed nave by clusters of four shafts with shaft-rings. One big, square w tower and one smaller round one with a conical roof. Sacred Heart (R.C. ), Queen's Avenue. 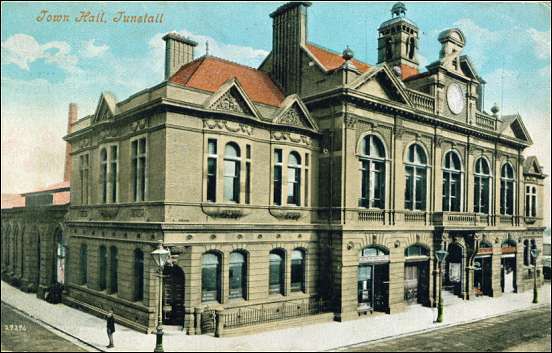 Town Hall, Tower Square. 1883-5 by A. R. Wood. Nine bays, brick, in a sort of Italian, ill-defined. 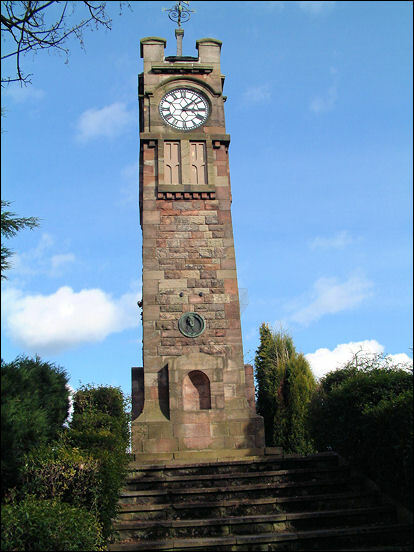 In Tower Square is the Clock Tower of 1893. 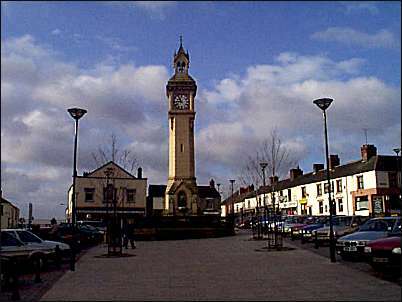 In the centre is the clock tower, erected in 1893, in a yellowish brick. The tower stands on the site of the original town hall. 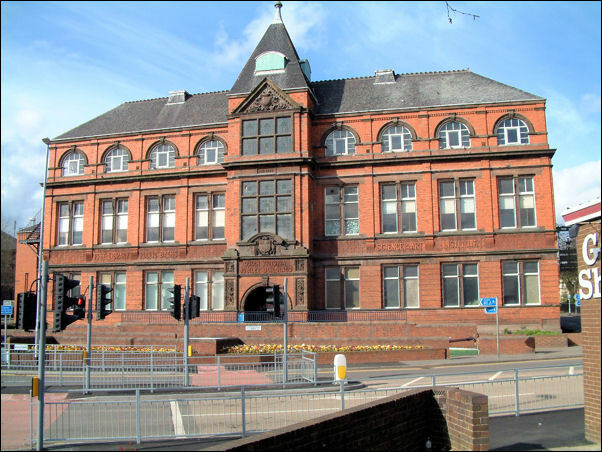 It was built by public subscription to honour Sir Smith Child. Market, The Boulevard. 1857-8 by G. T. Robinson. 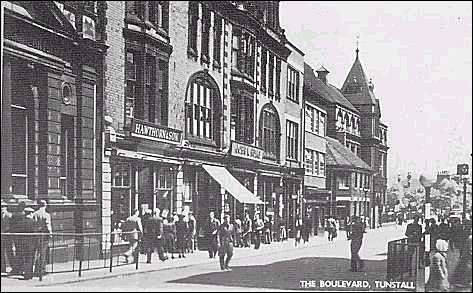 the Boulevard is the principal street in the town centre. 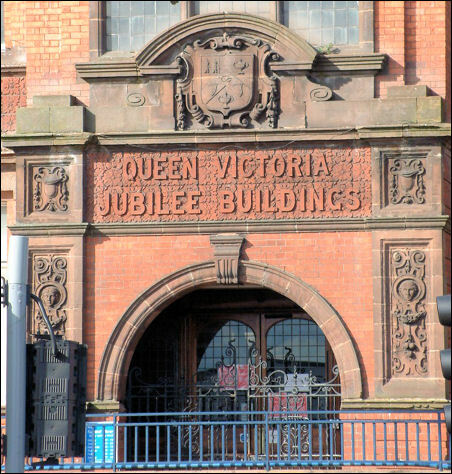 Queen Victoria Jubilee Building, The Boulevard. 1889 and 1898 by A. R. Wood. Large, red brick, indifferent. 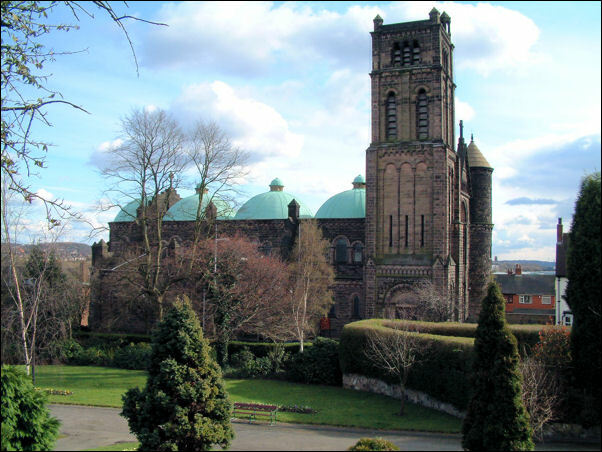 In Victoria Park close to the Jubilee Building and the Catholic church is a clock tower; very acceptable. Its date is 1907.